There’s one fact about back pain – or any pain for that matter – that you should know and that’s that back pain will wear you out and cause fatigue. The connection between back pain and tiredness is well established. Ask anyone who’s had back pain and had to miss work because of it. Why Do You Feel Tiredness With Back Pain? What makes you so tired when you have back pain is that the muscle fibers are firing excessively. This excess electrical activity wears you out because the muscles can’t withstand endless electrical activity. 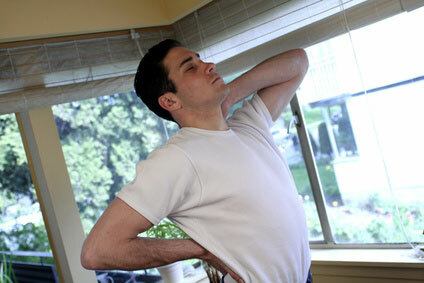 The muscles are firing excessively because they’re trying to compensate for something that is occurring in your back. Perhaps you had a disk herniate or you strained or sprained your back muscles. Whatever happened, your body will try to compensate by taking the pressure off one area and putting it on another area. In this way, your body can help you survive. The problem is that the muscles that are overburdened just can’t take it. And you get tired. What’s happening is similar to you working out in a health club on an exercise machine nonstop. You just can’t do it without pain. Sooner or later the pain will set in, even if the weights you’re lifting are low weights. Unless you stop, the pain will continue – and even when you stop exercising, you’ll still have pain because of the lactic acid buildup in the muscles. Depending on how long the electrical activity has been going on, you could be fatigued for days. Having tiredness and back pain isn’t dependent on where the back pain is. It could be lower back pain, which is the most common, or middle back pain or even neck pain. All of it will make you tired and fatigued. So really the only thing to do is to beat the back pain, no matter where it is. 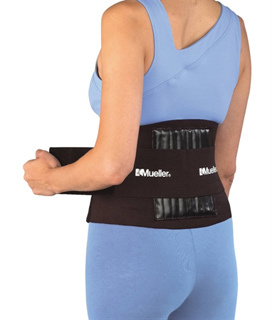 Below are some ideas of how to do it that are geared towards back pain. This recommendation may seem crazy but it’s proven in the studies to work. All that excess electrical firing of the muscles in your back when you have back pain to try to compensate is eliminated for 30 seconds to a minute. When you hang upside down, you reverse the effects of gravity on your entire body, so for a little while the body can truly rest. You might not realize the benefits as you are hanging upside down. But once you stand back up straight, you’ll realize that there is a lot less pain. Repeating the process gives you another dose of anti-gravity medicine and pain relief. And with the pain relief comes a burst of energy since the fatigue is eliminated. The latest theory about back pain is that it may not be a good idea to wear a brace unless your back pain is pretty serious or from a fractured vertebrae or bone in your back. However, wearing a brace temporarily – say for 10 minutes per hour or a few hours each day – is the solution for many people. This offers pain relief and also a boost of energy. Their fatigue is lifted. Many people don’t usually associate the drinking of water with eliminating fatigue or back pain but it’s true. Ask any athlete how they feel and perform if they haven’t had enough water or are dehydrated and you’ll find out that they tire out faster, don’t recover as fast, and their performance is a lot worse than usual. Dehydration will make you tired. 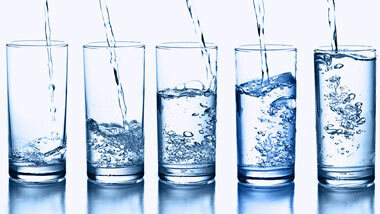 Every part of your body depends on water; your body composition is greater than 70% water. Almost every reaction that occurs in the body depends on water. Years ago, the author of Your Body’s Many Cries for Water discovered that pain in the body could be lessened by drinking more water. Back pain is one of the types of pain that can be lessened by water. And with that lessening of pain, you can expect tiredness to flee, too. When you have back pain, you might think that you’ll gain more energy if you stop any movements. Research has found otherwise. You must keep movement in the joints. Pain and thus fatigue will result if you restrict movement. There are many different causes of fatigue. And back pain is just one of them. Find out more by reading the End Tiredness Program.